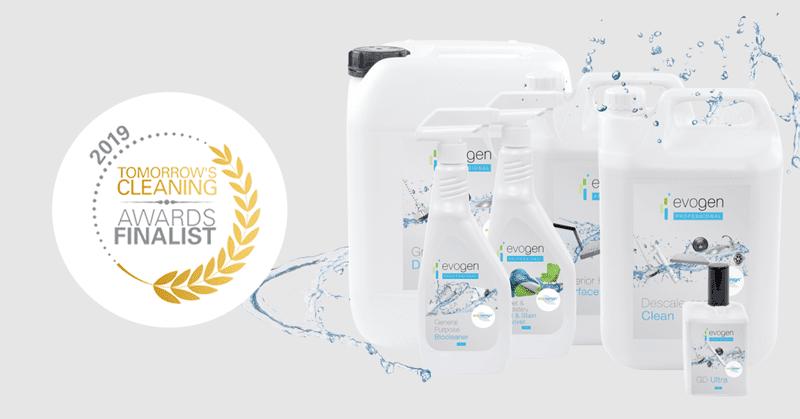 We’re delighted to announce that Evogen Professional is shortlisted for the Tomorrow’s Cleaning Awards 2019! 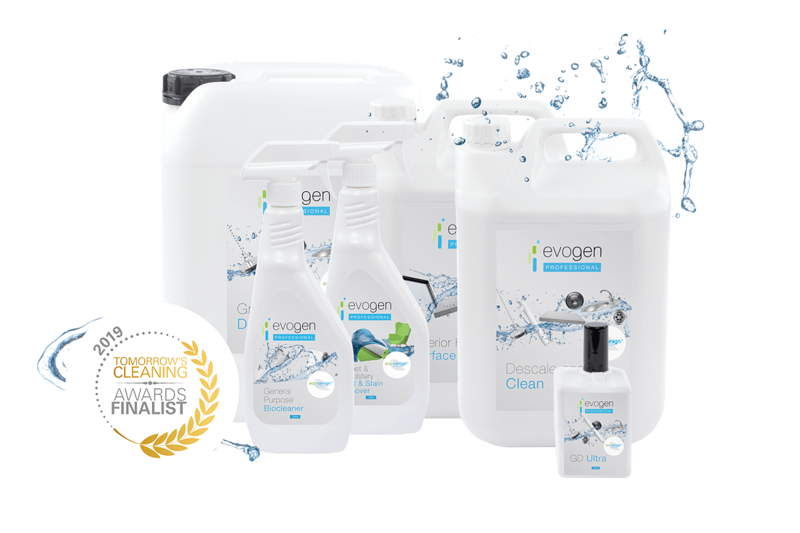 Evogen Professional, our range of environmentally-responsible superior cleaning products for business, has been shortlisted in the Tomorrow’s Cleaning Awards 2019. Evogen Professional’s eco-benign® technology is the result of over five years of scientific research and development in microbe bacteria. It’s this use of microbe bacteria instead of harsh chemicals in our wholesale cleaning products that impressed the judges – and we hope it’ll impress voters too! This is because the public decide the winner of the Tomorrow’s Cleaning Award 2019. Do you have a spare 15 seconds? Then we’d really appreciate your vote. The polls for the Tomorrow’s Cleaning Awards 2019 close on Friday 15th March. It’s the eighth edition of these prestigious awards, which celebrate innovation and quality in the UK cleaning industry. This is the latest nomination that Genesis Biosciences has received recently. We won the Sustainability Product Innovation category at edie’s 2015 Sustainability Leaders Awards. In the same year we also collected the Technology and Innovation prize at the Cardiff Business Awards the same year. Some of our other triumphs include making the shortlist for Green Manufacturer of the Year at the Made in Wales 2016 Awards, as well as the Innovation, Science & Technology award at the 2017 St Davids Awards too. But perhaps our most prestigious accolade was winning the international Pulire Award for Product Innovation in 2011. Here’s hoping that we can add the Tomorrow’s Cleaning Awards 2019 to the trophy cabinet.